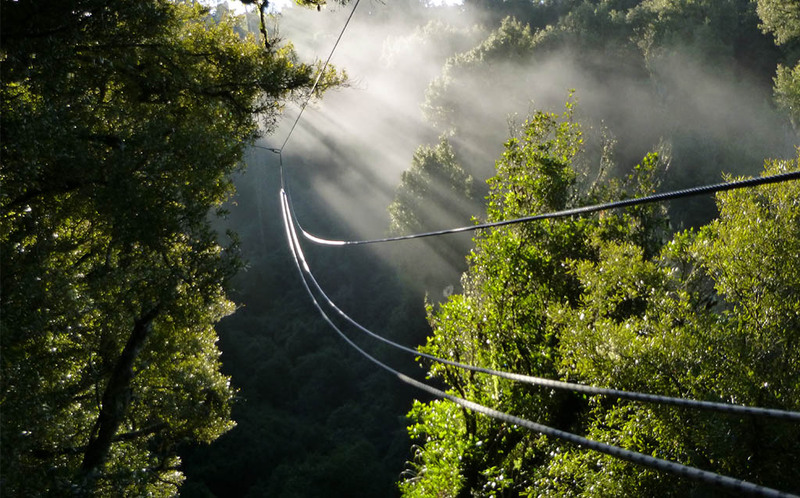 On a Friday afternoon, I was lucky enough to go on a Rotorua Canopy Tour. We arrived and checked in at reception before sitting in the waiting room, awaiting the others’ arrival, which wasn’t long. When everyone in the group was ready the main tour guide came in and explained where we would be going and what we were doing. After that briefing was finished, we were taken out to be harnessed up. The group we were in wasn’t too big or too small, it was about 10 people. One of the tour guides went first and the other one buckled the first passenger in. Three people later it was my turn, I was strapped in and ready to go. I flew across so many tree tops at such a high height, it was amazing. When I arrived at the next platform I was buckled onto another rope before being unbuckled from the zip-line I had just been on. After several zip-lines both long, short, tall and short, the tour guides talked a bit about New Zealand history, and our wildlife before mammals were introduced. It was both interesting and very sad to hear about what used to be a world filled with birds has now decreased to such a small number. But the tour guides then told us what they were then going to do in the bush and how they would bring back all the native birds to an eventually safe environment. After embarking a few more zip-lines, at one of the platforms we were lucky enough to be able to have one of NZ’s rarest birds fly up to our hand and eat the insect we had placed there. At last after lots of zip-lining, walking across rope bridges and seeing some of NZ’s most beautiful wildlife, our day had come to an end. The group of us got back up into the van and drove on home, each having a wonderful set of the day’s memories to tell. It was one of the best activities to do in Rotorua during the school holidays, I am going to go back to school and tell all of my friends about it!